Two minutes after the shocking end to A Wild Epidemic of Magic, this third book in the series finds Kelley and Jeroan stranded in Dubuque, Iowa, after losing their parents-and all the Sorcerers they met in the past two months-to the vengeful Druid. Apparently, the Druid did not enjoy his 200-year banishment. And as if that wasn't bad enough, the twins must once again work together to find a way to regain all of their magic, before time-and magic-runs out for good. 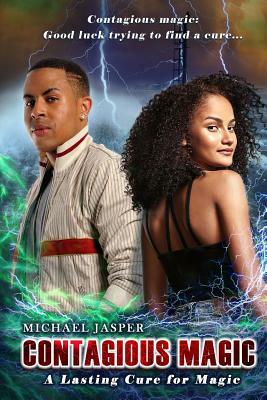 The fantastic third book in the Contagious Magic series, for all ages. Michael Jasper is fascinated with exploring the places where the normal meets the strange. In pursuit of this fascination, he has published over a dozen novels, a story collection, and six dozen short stories, along with a digital comic with artist Niki Smith.